Everyone knows that the State Water Resources Control Board (SWRCB) has been cracking down on the residents and businesses of the Monterey Peninsula lately. Essentially requiring them to foot the bill for an obscenely expensive desalination plant, in order to end illegal water diversions that have been harming steelhead in the Carmel River. What not so many people know is that the SWRCB has been letting similar illegal diversions continue on the Big Sur River for nearly 20 years – with still no enforcement action of any kind in sight. And if you’re wondering what vitally important use that Big Sur River water is being put to, what use the SWRCB is so much more reluctant to constrain than the domestic and business uses of the Monterey Peninsula, you may be surprised to learn that the illegal diversions from the Big Sur River go only to irrigating pastures. With the exception of the lack of any enforcement action, the struggle over Big Sur River water has been pretty much a miniature version of the Carmel River water wars. As on the Carmel River, the issues include pumping of river underflow, environmental damage, applications for permits to appropriate river water and, most of all, long delays on the part of the SWRCB when it comes to protecting steelhead by forcing illegal diversions to stop. In 1949, El Sur Ranch began pumping water from a well near the Big Sur River in what is now Andrew Molera State Park. In 1984, they added a second well. Just as Cal-Am’s increased pumping from wells along the Carmel River dried up the stream and brought Carmel River steelhead to the brink of extinction in the early 80’s, El Sur Ranch’s pumping appeared to be to blame for portions of the Big Sur River drying up. Just as Cal-AM denied that their pumping was causing the Carmel River to go dry, El Sur Ranch denied that they were drying up the Big Sur River. They claimed the dewatering of the river was, instead, caused by work the State Park was doing in the riverbed. Just as the Carmel Valley Steelhead Association, in 1987, filed a complaint against Cal-Am alleging illegal pumping of Carmel River underflow, the California Department of Parks and Recreation, in 1990, filed a complaint with the SWRCB alleging that El Sur Ranch was pumping Big Sur River underflow (river water, as opposed to water from a separate groundwater basin) and damaging the river environment. In 1992, the State found that the water being pumped by El Sur Ranch was indeed river underflow (just as they would eventually rule in the case of Cal-Am’s Carmel River wells). Since the Ranch did not have any pre-existing appropriative right to divert this water, they would either have to limit themselves to pumping water for which they could show a riparian right, or apply to the SWRCB for a permit to divert additional water. As only about 25 acres of the 292 acres of pastureland being irrigated with Big Sur River water by El Sur Ranch could claim riparian rights (due to being inside the Big Sur River watershed and contiguous to the stream), the SWRCB could have, and probably should have, demanded that the Ranch immediately cease using Big Sur River water to irrigate the 267 non-riparian acres. Instead, they simply advised the Ranch to either stop the diversions OR apply for an appropriative right to serve the non-riparian land – which the Ranch promptly did. … and since that time nearly 20 years have dragged by with illegal diversions continuing, no decision on the Ranch’s application to legalize those diversions, and (as had been the case on the Carmel River until recently) no move by the SWRCB to enforce the law and protect the river environment. What El Sur Ranch is asking for is the right to divert a whopping maximum of 1,615 acre-feet per year, subject to a 20-year rolling average of a slightly more modest 1,200 acre-feet per year. For comparison, the total amount of water needed to meet the domestic and landscaping needs of the 112,000 people living on the Monterey Peninsula and surrounding areas is less than 15,000 acre-feet per year. Put another way, El Sur Ranch is suggesting that in some years their pastures may require around 6 acre-feet of water per acre. Enough water, were it used all at once, to flood their pastures about six feet deep. In determining whether or not to approve this application, the SWRCB first needs to decide how much, if any, water is available for appropriation in the Big Sur River. This is pretty much a matter of looking at how much water needs to stay in the river to keep the steelhead and river environment healthy, looking at how much is already subject to riparian and appropriative diversion rights, then seeing if any is left over. Unfortunately, even after nearly 20 years, it doesn’t appear likely that this initial determination will be completed anytime soon. The problem is that the recently completed draft environmental impact report appears to be seriously flawed. Instead of examining the extent to which diversion of an average of 1,200 acre-feet per year may cause significant impacts to the river, the report instead analyzes the impact of increasing current diversions (which have averaged 857 acre-feet per year since 1992) to the full amount requested in the application. In other words, the current level of pumping is treated as the baseline for CEQA analysis even though the current pumping is a major part of the proposed project that the EIR is supposed to be analyzing. Hardly an insignificant error. The Department believes that the failure of the SWRCB to analyze the effects of the entire project, including all proposed diversions to which the applicant does not have a legal entitlement, undermines the policies of both CEQA and the Water Code, and serves to abrogate the SWRCB’s responsibilities to require modifications to the project to avoid adverse affects on the water resources. All this leads us to believe that the EIR will need to be redone, either by order of the SWRCB or later court order, leading to still more years of delay. This should be fine with El Sur Ranch, of course, provided the SWRCB continues to look the other way while they illegally divert water. A number of environmental groups have, in fact, accused El Sur Ranch of delaying the process in order to avoid what is likely to be an unfavorable final decision but, be that as it may, it is ultimately the responsibility of the SWRCB to force an end to illegal diversions of water. It was nearly 15 years after the SWRCB determined that Cal-Am’s Carmel River diversions were illegal that they started cracking down. It’s been almost 20 years in the case of El Sur Ranch. Someone, somewhere must really hate the idea of letting those pastures go brown in the summer. Click here to view a map showing the wells, pastures, riparian lands, etc. Click here to view the DEIR, comments, notices of upcoming hearings, etc. This entry was posted on Friday, February 4th, 2011 at 11:06 am and is filed under Big Sur, Carmel River, Coastal Development/Erosion, Politics, Santa Lucias, Water. You can follow any responses to this entry through the RSS 2.0 feed. You can leave a response, or trackback from your own site. Extraordinary expose by the X Team! Time for the State Board to step up on this and so many other diversion actions that have been stewing in Sacramento’s back hallways. 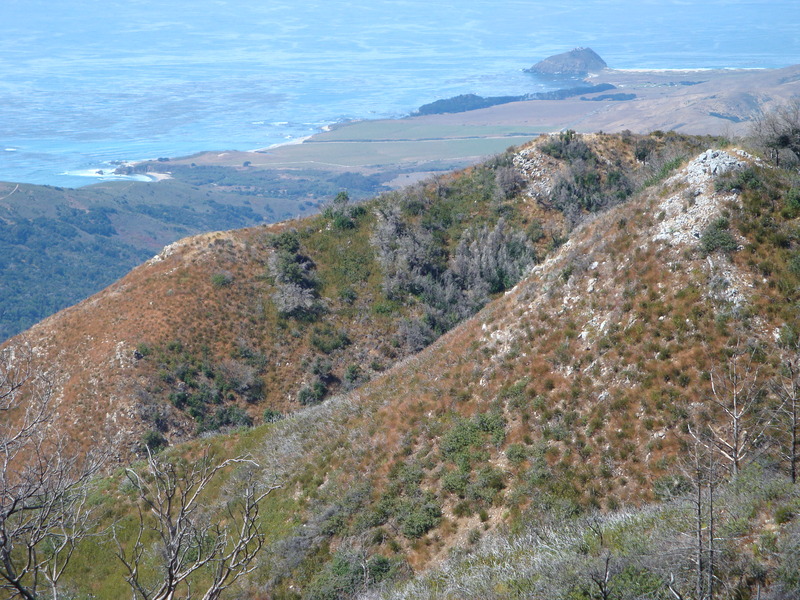 Letters paraphrasing the above and your personal experiences in the Big Sur watershed should be sent to State Board members Tam Doduc and Fran Spivey Weber encouraging them to direct the State Board staff to agendize this matter for the Board this year! thank you for the great write up. You have a way of directly conveying information, that somehow, I can actually comprehend. thank you!